One of the best sites to go to away from the base is a nearby Emperor Penguin colony at Windy Bay, located 35 km due west from Halley VI. As it happens, each of the winter trips from the second round already have or are going to spend at least some of their time over there. As it happens, the team who have just come back from their winter trip had a Skidoo break down at the Caboose at Windy, and myself and Rich (Halley Electrician) were sent out to pick it up and bring it back to base for repair. 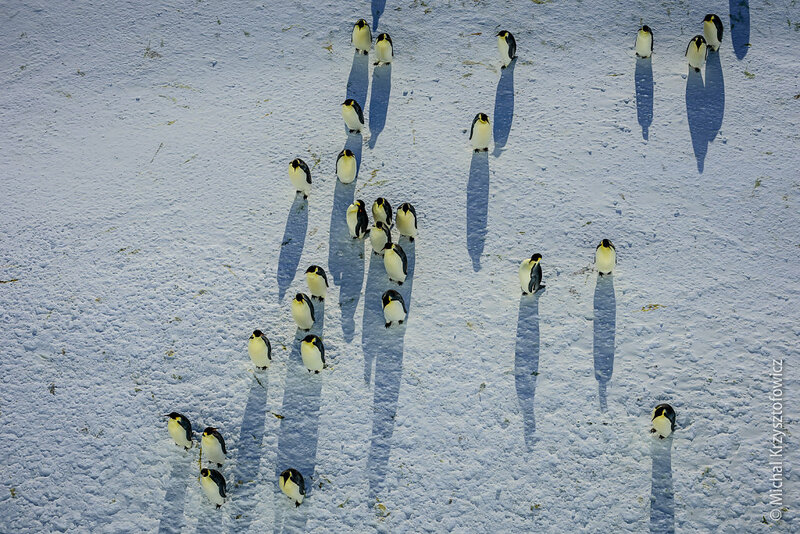 And we took the opportunity to have a look at the Penguins from the edge of the ice shelf above! And as soon as they heard us, they started coming over to the cliff just underneath where we were sitting.